Local groups in Fresno, including Tenants Together, rallied to demand that the City force landlords to maintain their rental properties. 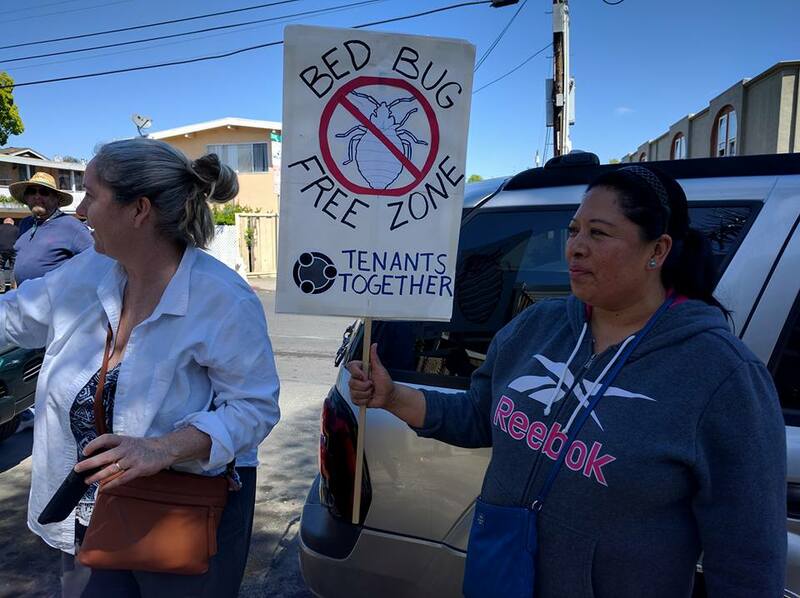 A landlord who failed to address a bedbug infestation in his rental property has been arrested. Tenants Together organized tenants to pass the law that led to the landlord's arrest. We're forcing slumlords to clean up their act. Slumlords get rich sucking money out of their properties and investing little or nothing back in. Tenants end up paying the price. Through organizing, education, and litigation, we're taking action.